Thank you for your interest in Flexible Expanding Gravity PVC Skatewheel Conveyor. We will be happy to discuss the pricing in more detail with you please fill in your details below and somebody will contcat you back with a quote. Alternatively please call us on 01772 690656 and please reference our part number - Flexible Expanding Gravity PVC Skatewheel Conveyor. Flexible Extending Skatewheel Conveyors Skatewheel conveyors are rugged conveyors ideally suited for many roles from packaging and flexible assembly lines to loading and unloading of trucks and containers. The extending conveyor is easy to move around on heavy duty castors and simply compacts to a quarter of its size when not in use. They are very easy to quickly manoeuvre in or out of trucks for more efficient, safer, easier loading and unloading. Extendable skatewheel conveyors can also be connected together with hooks or even manufactured in custom lengths to suit your individual flexible conveying needs. If your application requires a length that is not listed in the above chart, please call for assistance. We are here to help you get the best value for money. Download flexible BZP & PVC skatewheel conveyor 2017 price lists in the Features sections below. – Support legs are fully adjustable from 650mm to 1100mm as standard. – Up to 300 Kg’s load capacity per linear metre based on a level working height. 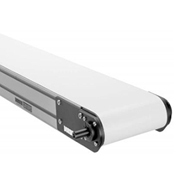 – Standard conveyor widths to keep costs down. Special widths on request. – All support legs have welded braces for additional strength and rigidity. – Heavy duty castors for maximum manoeuvrability. The castor wheel incorporates a foot operated brake. – Roller Centres – for small products, small hooks can be fitted to the conveyor to prevent the rollers opening up too much. However this does limit expansion. Call us to discuss your application. Height options, (One must be chosen) all have a zero price as it’s included in the conveyor price.